Ah my dear readers. 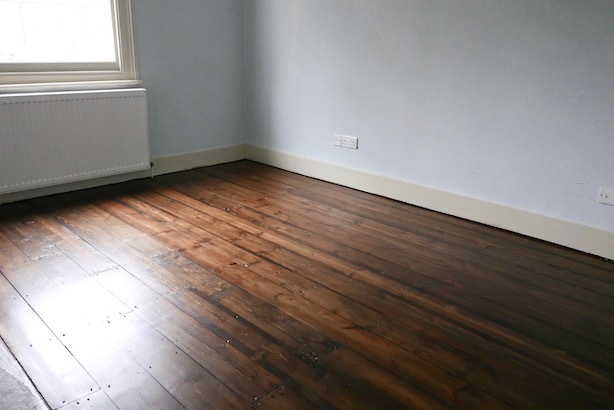 Finally, we made it – the floors are done and I no longer have to breathe dust like a crazy dust-breathing dragon any more. It’s very exciting. 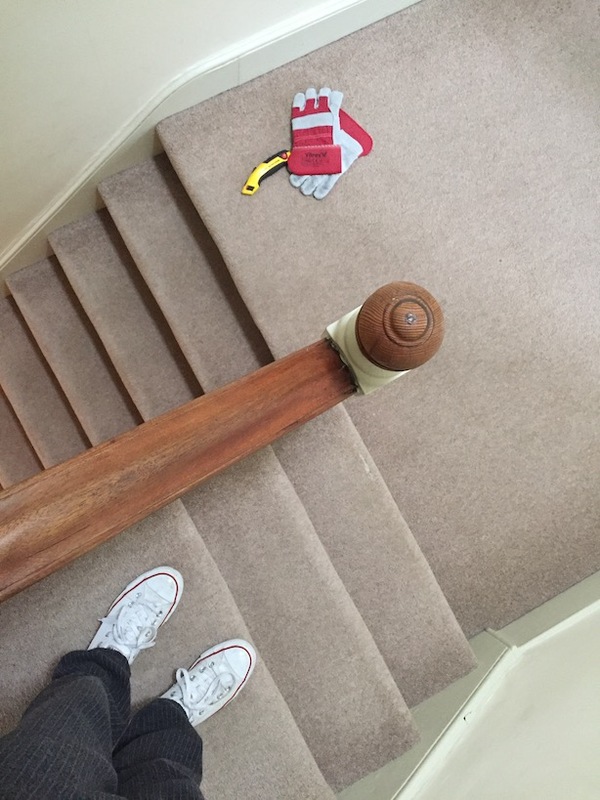 And I’ve loved seeing the transformation, day by day… I wanted to write a post to explain what we did, how we did it and give you some tips, should you be thinking of doing something similar to your home. 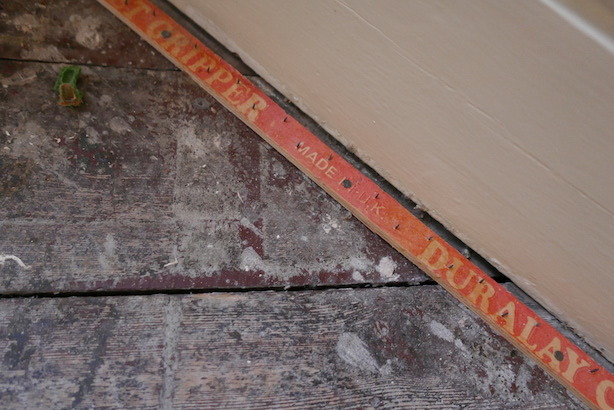 A few weeks ago we began the dusty process of pulling up the carpets. This is surprisingly more easy than you might imagine. You need a good pair of protective gloves (those gripper rods are evil) a Stanley knife, some duct tape and ideally, a dust mask. 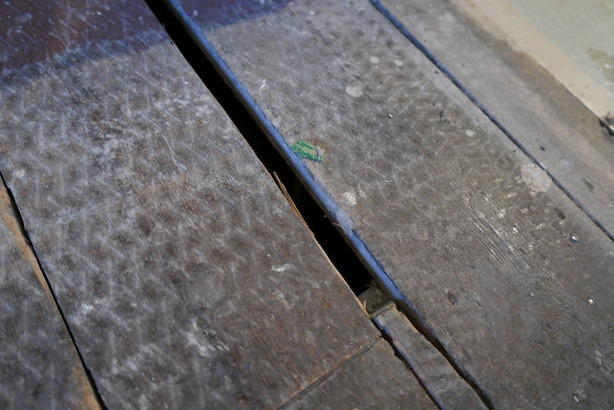 Underneath the carpet was 90% original flooring, with various new planks dotted about, with quite a few “bodged bits” – Ryan’s words. You’ll meet Ryan in a minute. 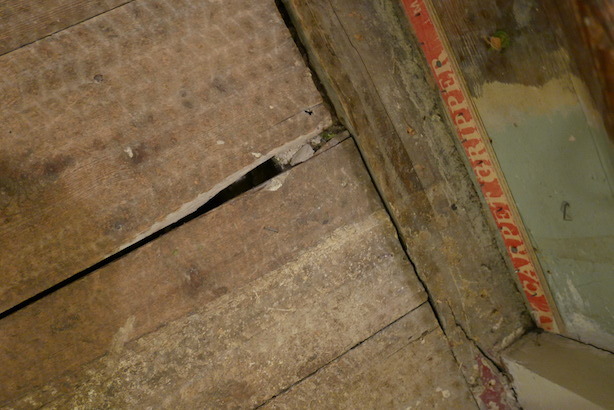 Oh and here’s a damaged plank. There were quite a few of those. When you pull up the carpets, keep in mind how you plan to dispose of it afterwards. We had arranged a collection with our local council, but they would only collect 5 rolls at a time, and each roll had to be less than 6ft long. 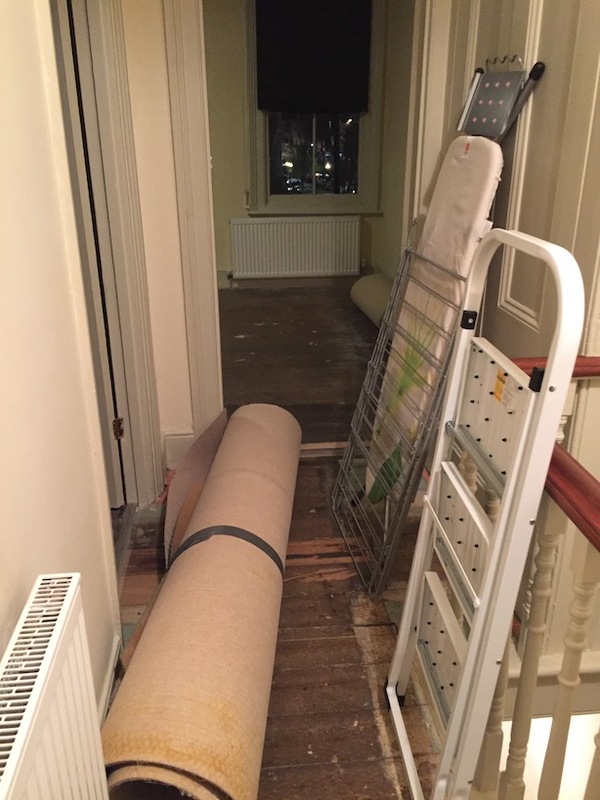 So we cut our carpet and underlay into one strip at a time and rolled a few layers up together, securing the roll with Duct Tape. 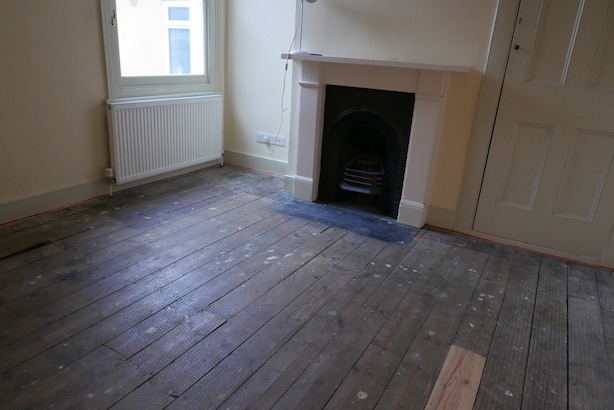 Once we’d pulled up all the carpets, we could call someone to get a proper quote for all the work – we wanted all the damaged boards and new boards replaced with original reclaimed pine boards (as per the original boards already there)… and for all the floors and stairs to be sanded down, stained and varnished. 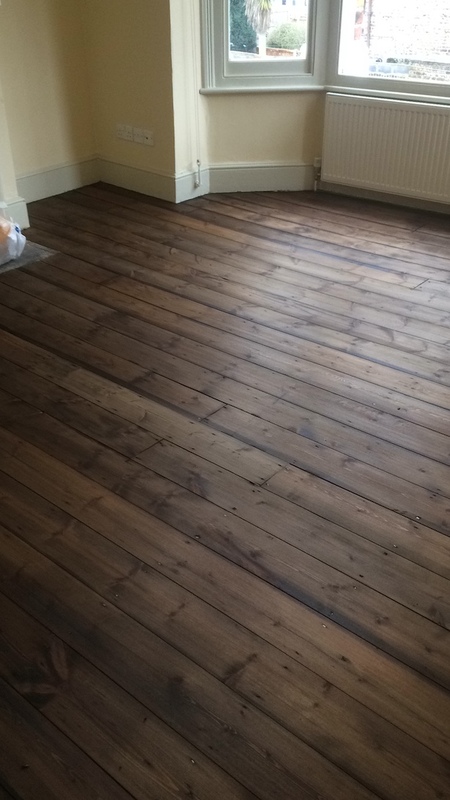 Tames Flooring had come highly recommended and so I dropped them a line. Ryan, the owner, popped round that week and as soon as he arrived we knew we were in safe hands. He’d not been through the door for 10 seconds before he was doing some kind of Irish Jig on our floors (apparently he was testing them and feeling for joists and things… but I’m sticking with Irish Jig). We left these nasty gripper rods for Ryan to take up. He explained what he intended do and was very keen to manage our expectations, which we both really appreciated. 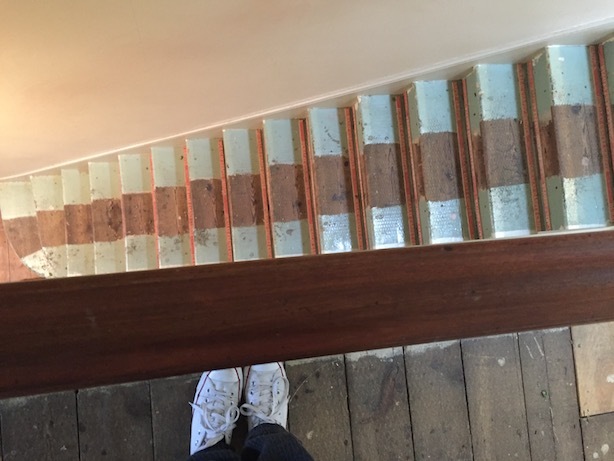 One thing we didn’t realise was that due to the way the stairs had been painted, with a strip left down the middle, meant that there would always be a contrast there. (I thought this was because the paint had damaged the sides, but in fact, the lead paint the Victorians used, actually protected the wood! 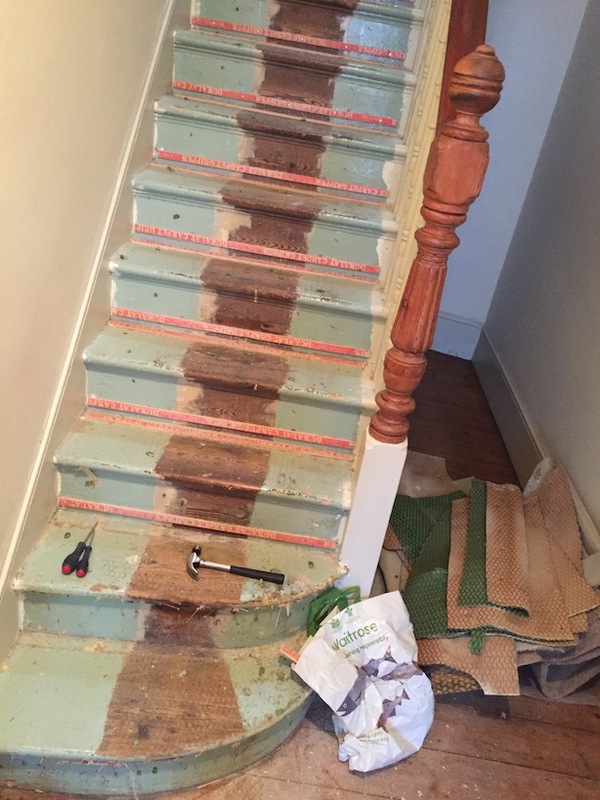 The stairs were actually more damaged where there’d been no paint). 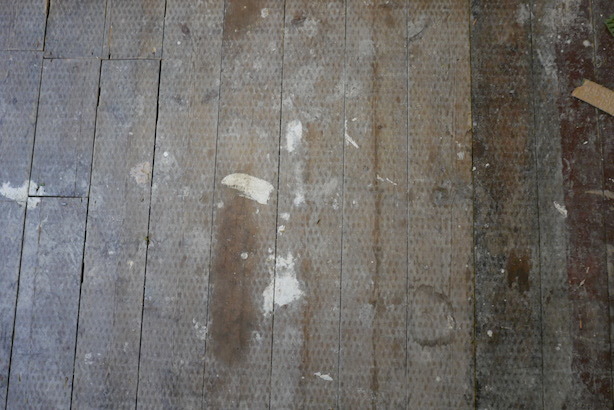 Floorboards repaired, replaced and sanded! This is the contrast I was talking about – it will always be there and will be visible unless you stain with a dark enough colour. We knew what kind of look we wanted, but couldn’t find a stain anywhere that matched what we had in our brains. 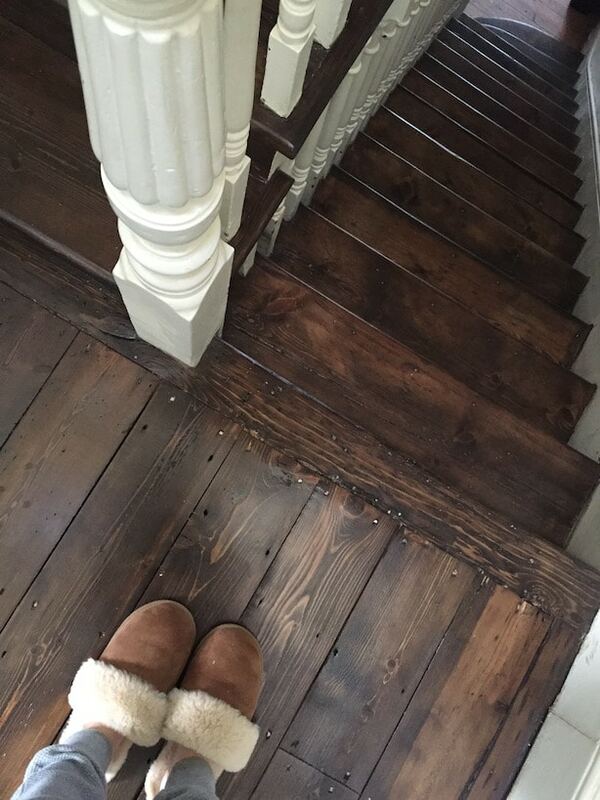 So Ryan mixed up a walnut stain with some black – we did 6 parts to 1, and it turned out exactly as we had hoped. My chest of drawers has never looked so gorgeous. 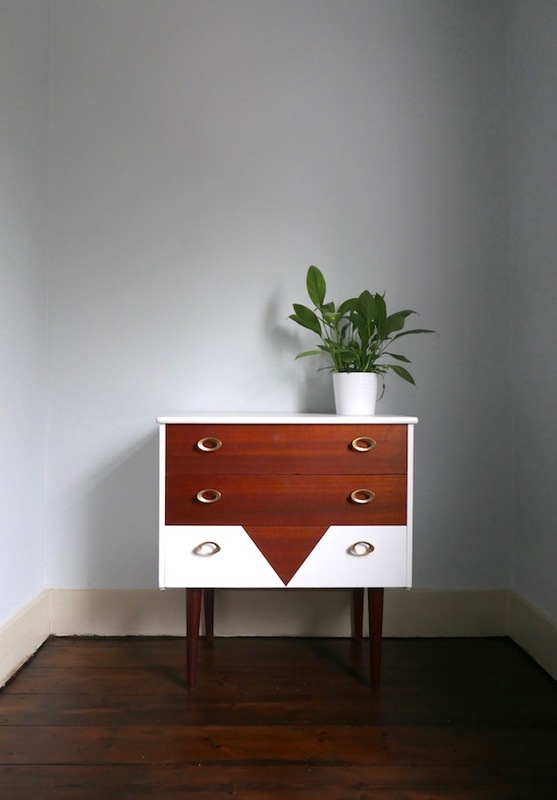 These Elizabeth Dot Design drawers are from Etsy. We are beyond thrilled with the results. 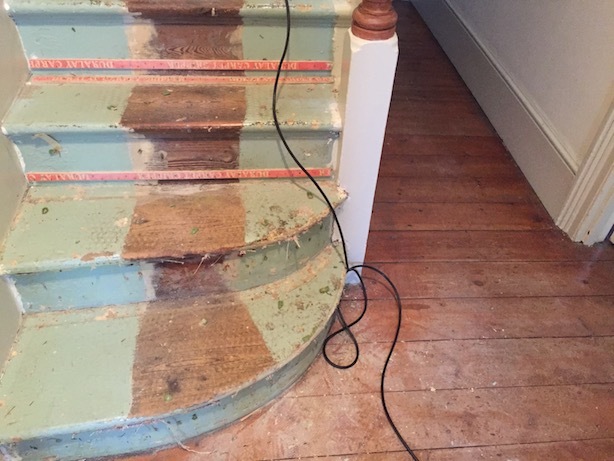 The job took 7 full days, but our stairs were incredibly fiddly – we have an unusual amount of spindles! 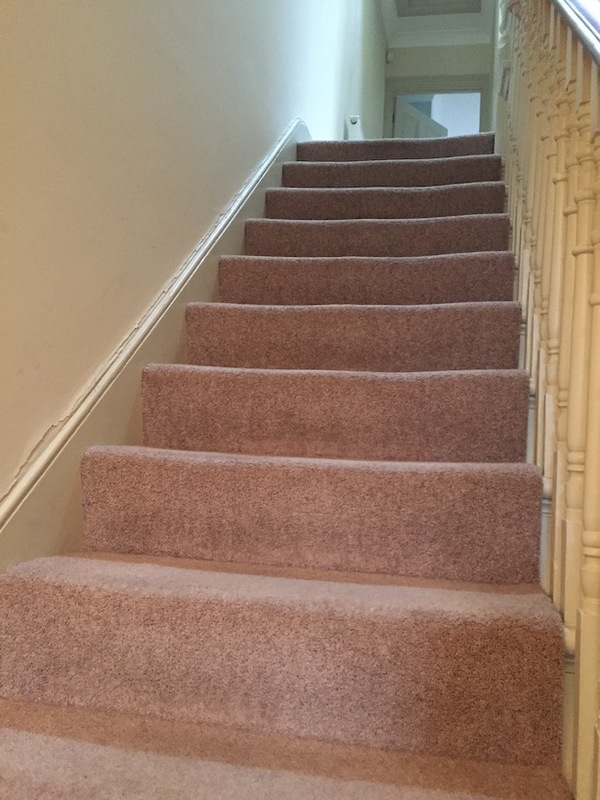 Ryan was amazed at how long it took – he usually estimates between 2 – 3 days for stairs, and ours took longer. But I’m so grateful to him for not cutting corners and even though it took him longer than expected, he didn’t charge us any more than he originally quoted. I never would have attempted to do any of this by myself – having watched Ryan and his team work, it’s clear this is specialist work. 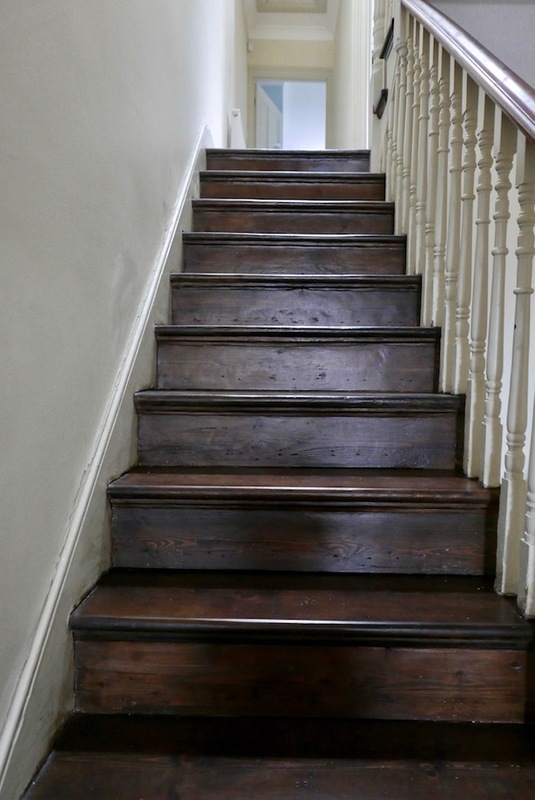 The floors and stairs have been meticulously worked on and now have been stained to perfection. Ryan said “NO WATER, POPPY!” And suggested the Bona Wood Floor Spray Mop, which comes with its own special cartridge of magic potion, to clean your floors and keep them protected. I’ve bought one and it’s my new favourite thing. Totally love the final result and shall NOT be spilling my tea when I come and visit! Pingback: Kodak has stolen my heart. All over again. Great post – it looks brilliant. May I ask how much this cost? How much did this cost? It looks gorgeous! Great relief to find your website! 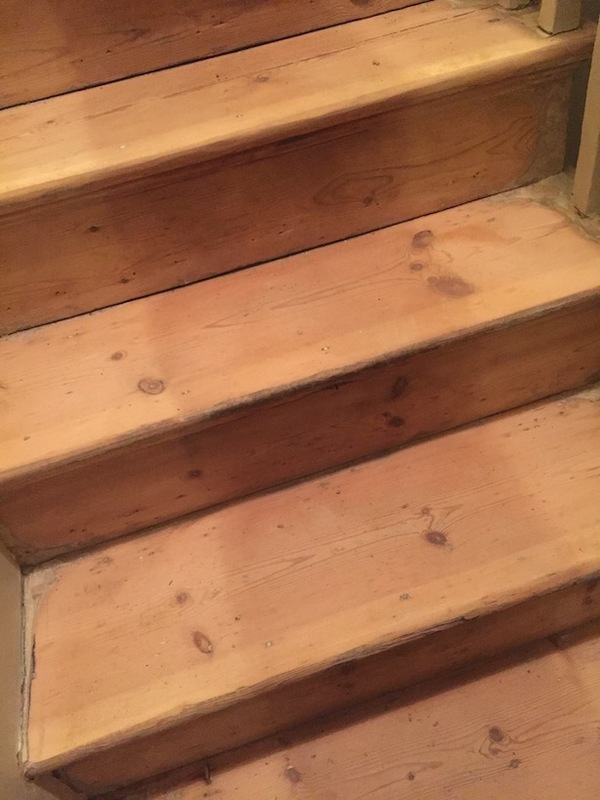 Our stairs has that stain in the middle, what you ve done with the dark stain is just perfect! 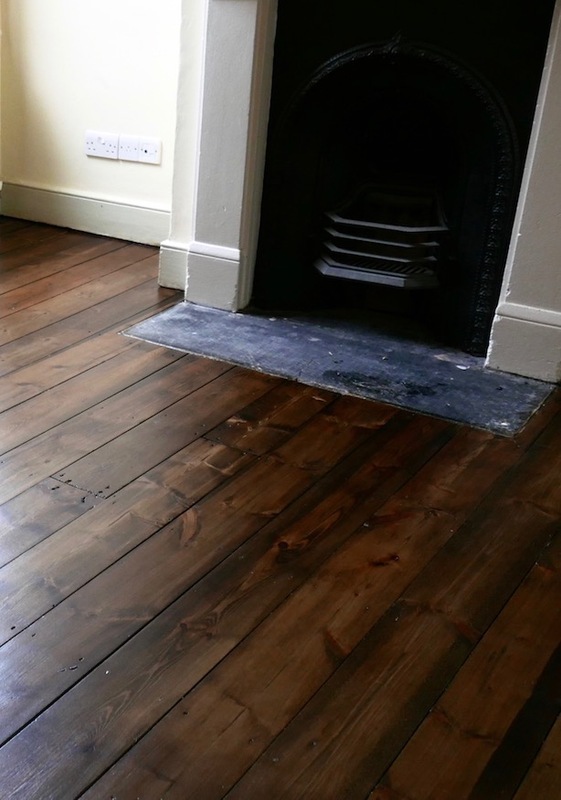 Did you mix the varnish with black floor paint? Yes, that’s exactly what we did. And we tried out different ratios on bits of wood before committing to the one we went with. It worked perfectly. Love your final results! 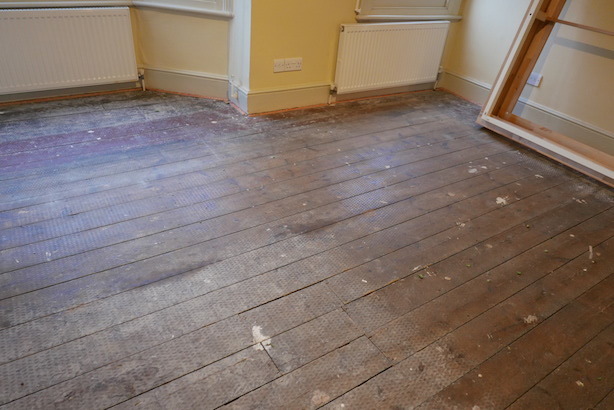 We just pulled up all the carpets in the house yesterday, and the flooring boards underneath are not in great condition, some with big gaps between the planks. Hopefully they can still be restored as beautifully as yours. A few of my concerns at the moment, really appreciate if you can share your experience. 1. 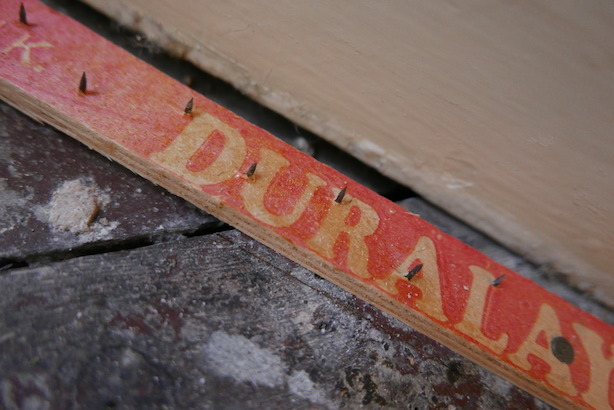 We have a baby just learnt how to crawl, the floorboards have lots of metal nails on, so my hubby is worried that the baby will get hurt! 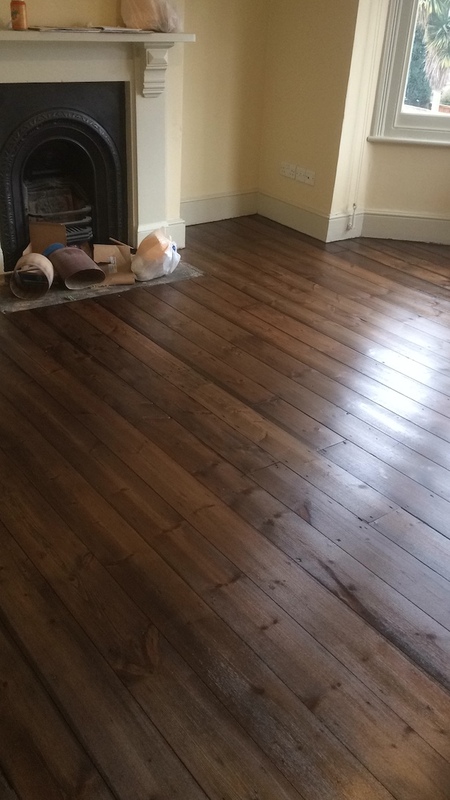 Looks gorgeous but varnish does not look after the wood and needs redoing. 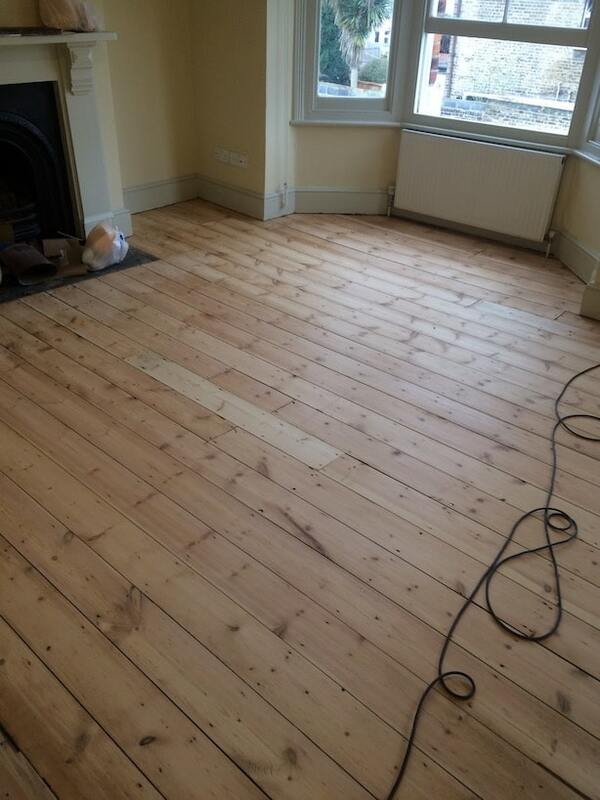 Best thing for original flooring is a quality carnauba and beeswax like Briwax.